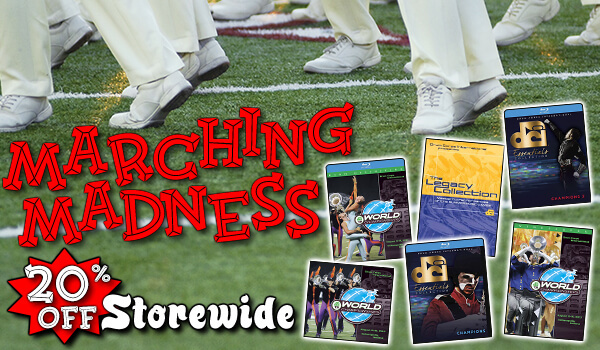 For this week only, take 20 percent off store-wide and save big on Drum Corps International's entire collection of in-stock audio and video products, apparel and more. Hurry, this sale will be valid only through Sunday, March 23! Visit DCIstore.org to view all available products. No coupon code is required. Discounted prices are reflected after adding items to your shopping cart.